Also known as the Sansad Bhavan, the Parliament house in India is one of the most powerful places of the country; it is the home of the supreme legislative body of the country. It is place where the numerous parliamentarians of India meet and discuss issues of national interest. Founded in 1919, it is the only place where there is legislative supremacy, thus giving ultimate power of all the political bodies of the country. The Parliament House or Sansad Bhavan consists of the Parliament of India which makes up the President of India and the two houses namely the Rajya Sabha or the Council of States and the Lok Sabha or the House of the People. It is well within the rights and powers of the President of the country to summon either the House of Parliament or even dissolve the Lok Sabha. 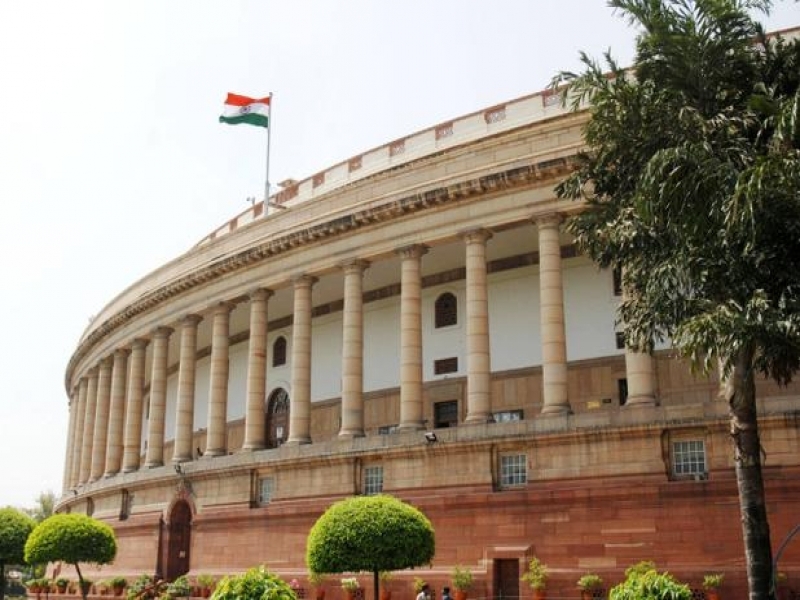 As the country’s Parliament is Bicameral the Lok Sabha forms the Lower House and the Rajya Sabha forms the upper house. These two houses have separate chambers in the Sansad Bhavan or Parliament House. The Parliament House is located on the Sansad Marg in Delhi. Members of the Parliament or MP’s are those who are either nominated or elected by the President of the Country to either one of the Houses. Lok Sabha MP’s are elected by the citizens of India by a method of direct election and the State Legislative Assemblies elect the members of the Rajya Sabha, this is done in accordance with proportional representation. The Parliament of India is made of over 790 MP’s who are believed to served the largest democracy of the world. The Parliament House’s or the Sansad Bhavan’s Central Hall is designed in a circular shape. The diameter of the dome is 98 feet huge and this dome is considered to be one of the most magnificent domes of not only India but the world at large. The great Central Hall of the Parliament House or Sansad Bhavan has great historical importance in the country. Firstly because the transfer of the colonial power to the government of India under Nehru in the 1947 took place here and the Constitution was framed by the Constituent Assembly took place here! The Central Hall was initially used as the Library of the previous Council of States and the Central Legislative Assembly took place here till 1946. It was later refurnished and converted into the Constituent Assembly Hall. From the 9th of December 1946 to 29th of November 1949, the Constituent assembly at met at right here for the drafting of the constitution. In the more recent times this great Central Hall is used by for Joint Sittings of both the houses. The President of India addresses both the Houses of the Parliament who are assembled in the Central Hall at the beginning of the first session after the General Election to the Lok Sabha and at the beginning of the first session of every year. The Central Hall is also used by the members for numerous informal discussions within themselves, when the houses are in session. Been to Parliament House ? Share your experiences!